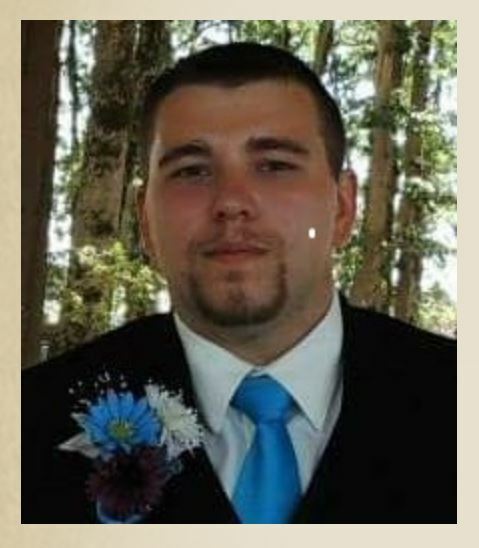 Joseph “Joe” Ferris, 25, passed away on October 22, 2016 in an auto accident. Joe was born in Milwaukie, Oregon on April 5, 1991. Joe grew up in Molalla and went to Molalla High School. He loved to sing and play guitar, working on his car, poker, camping and fishing. He loved his family and spending time with them. He especially loved his wife Osha and his pets Carmen and Spot. He worked as a residential painter and handyman. He was water baptized as a child at Conservative Christian Church. Joe is survived by his wife of 4 years, Osha Ferris; father, William & Laura Ferris of Molalla, mother, Sandra and Patrick McNulty; father in law, Dan Flamm; mother in law, Debbie Barrett, Ronny Fuller, Kenny Fuller, Zach Flamm, Joshua Ferris, Johnathon Ferris, David Ferris, Savannah Gibbings, Amber Gibbings; grandparents, Pauline Coffman, Walt and Mary Jane Fuller and Judy Molnar, and many life-long friends. A Memorial service will be held at Grace Molalla Church on Friday, November 4, 2016 at 2 pm. A reception will follow immediately after service.